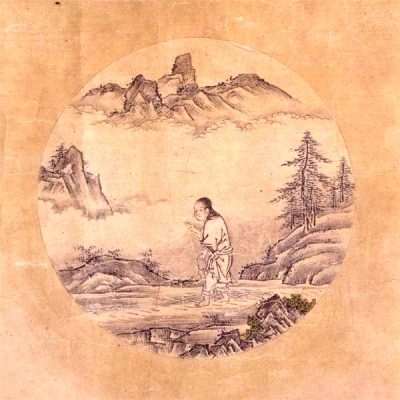 Tetsugen, a devotee of Zen in Japan, decided to publish the sutras (teachings of Buddha), which at that time were available only in Chinese. The books were to be printed with wood blocks in an edition of seven thousand copies – a tremendous undertaking. Tetsugen began by traveling and collecting donations for this purpose. A few sympathizers would give him a hundred pieces of gold, but most of the time he received only small coins. He thanked each donor with equal gratitude. After ten years Tetsugen had enough money to begin his task. It happened that at that time the Uji River overflowed. Famine followed. Tetsugen took the funds he had collected for the books and spent them to save others from starvation. Then he began again his work of collecting. Several years afterwards an epidemic spread over the country. Tetsugen again gave away what he had collected, to help his people. For a third time he started his work, and after twenty years his wish was fulfilled. The printing blocks which produced the first edition of sutras can be seen today in the Obaku monastery in Kyoto. The Japanese proudly tell their children that Tetsugen made three sets of sutras, and that the first two invisible sets surpass even the last. 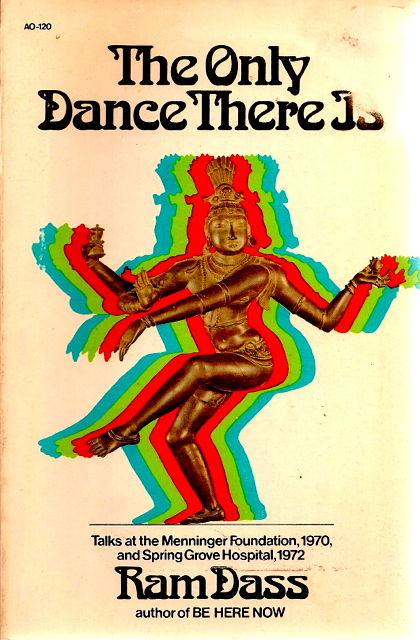 The book I am reviewing – The Only Dance There Is – is a compiled transcription of two lectures Ram Dass gave to a room of psychotherapists in the early 1970s. The first lecture was at the Menninger Foundation in 1970, and the second at the Spring Grove Hospital in 1972. Seeing as Ram Dass was a trained Harvard professor and psychiatrist before he transformed into a yogi, he was in the fortunate position of having two perceptual vantage points to overlook the whole thing. His clear insight into the Western approach to solving man’s spiritual problems through psychology, and his new understanding into the Eastern approach through yoga and meditation allowed him the opportunity to act as a solid concrete bridge between the worlds of East and West. Prior to Ram Dass bridges existed, but they were of the old and fragile, made of rope variety, which were rarely crossed out of fear of the bridge collapsing and you falling into the abyss below. Because of this the game at this point in time was very polarised – us vs them, hippies vs police, East vs West, and so on. In these lectures Ram Dass attempted to share the Indian’s non-dualistic outlook on life, called Advaita Vedanta, to an audience very much attached to the separation of all living things. Ram Dass eloquently shared what he had learnt in India, and what he had given up in Harvard, by comparing the comparatively new Western psychology to the 10,000 year old Eastern method of yoga and meditation. For example, he discusses in detail the Hindu chakra system, and how it closely resembles psychological systems for understanding human motivation – an area that Ram Dass happened to specialise in when he was a psychiatrist by the name of Dr. Richard Alpert. The seeker approached the other guru and said: “O master, I seek enlightenment, please give me the initiation and your most secret teaching so that I may attain That!” The guru said: “I do not give my teachings so easily. You must earn them. You must do sadhana, spiritual practice. If you are sincere then you can stay here and work for 12 years. Only in this way will you earn my initiation.” The seeker was delighted: “That’s just what I wanted. That is real spiritual life, real sadhana. I’ll begin at once.” The guru assigned him the job of shovelling buffalo dung in the back paddock. The years went by. Each day as he shovelled the dung the seeker dreamt of his future enlightenment. He ticked the passing days and months off his calendar. 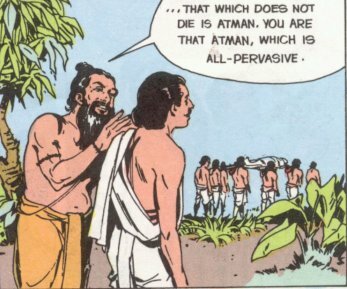 The following story – originally told in a Upanishad (collection of philosophical texts which underline the Hindu religion) – is about ten men who went on an arduous pilgrimage to a faraway holy city. 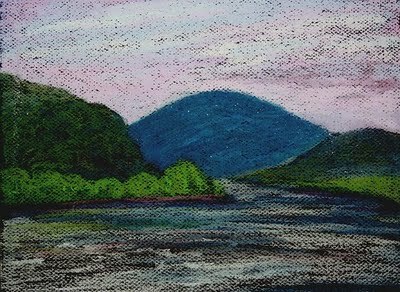 At one point on their journey they had to carefully make their way across a roaring river, which was surrounded by jagged rocks. When they finally reached the other side of the river, the leader of the group decided to count everyone to make sure they had all crossed safely, and so he lined each of the pilgrims up and started to count. “But sir,” said the stranger, “you have forgotten to count yourself!” And so, the tenth man was found. Once upon a time there was a man who strayed, from his own country, into the world known as the Land of the Fools. He soon saw a number of people flying in terror from a field where they had been trying to reap wheat. “There is a monster in that field,” they told him. He looked, and saw that it was a watermelon. He offered to kill the ‘monster’ for them. When he had cut the melon from its stalk, he took a slice and began to eat it. The people became even more terrified of him than they had of the watermelon. They drove him away with pitchforks, crying: “He will kill us next, unless we get rid of him.” It so happened that at another time another man also strayed in to the Land of the Fools, and the very same thing started to happen to him. But, instead of offering to help them with the ‘monster,’ he agreed with them that it must be dangerous, and by tiptoeing away from it with them, gained their confidence. 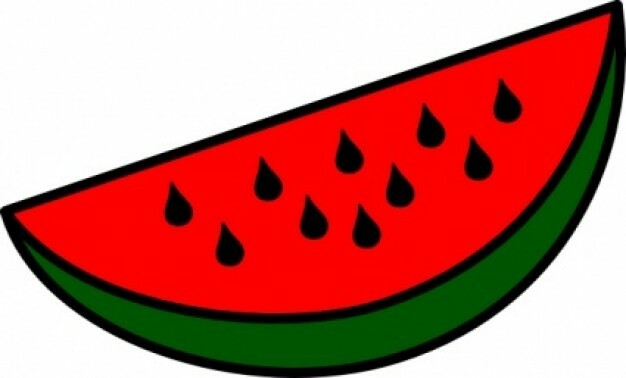 He spent a long time with them in their houses until he could teach them, little by little, the basic facts which would enable them not only to lose their fear of watermelons, but even to cultivate them themselves. Be Here Now offered it’s readers and followers a drug free alternative for attaining higher states of consciousness, while its simple message to live in the present encouraged the pursuit and cultivation of inner peace. Since it’s original publication the book has sold more than 2 million copies and has had an enormous influence on the Western world’s adoption of Eastern philosophy and spirituality. 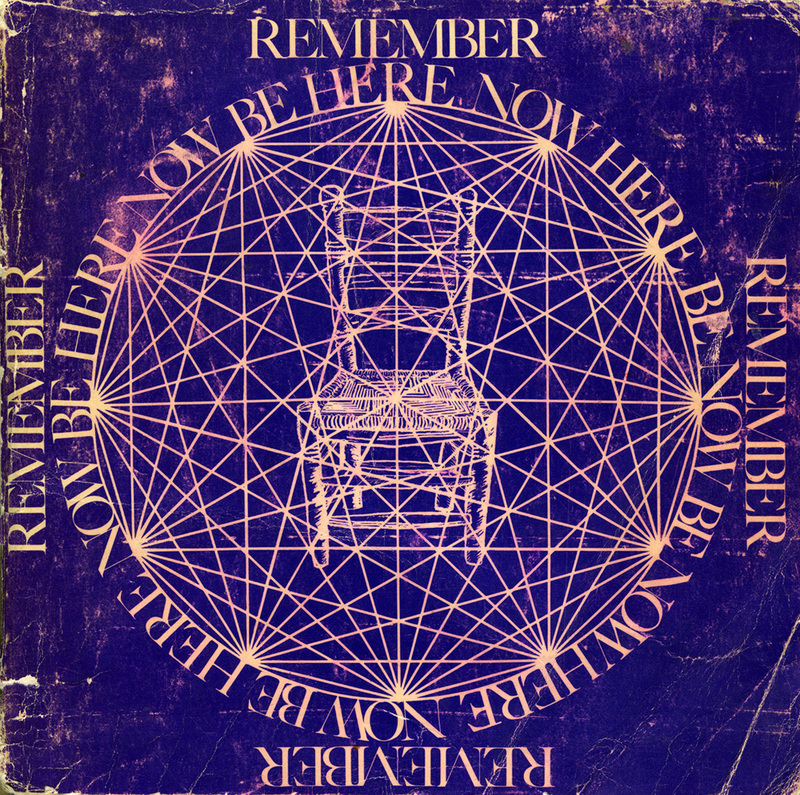 I can’t speak for everybody, but my copy of Be Here Now is one of my most treasured possessions, it opened the door of spiritual discovery and casually pointed towards the way. To this day, Be Here Now’s teachings shine like the sun and penetrate even the darkest spaces. I recommend it with all my heart to those with an open mind, and a thirst for self discovery.